Once Again is proud to be called the pristge consignment store in Vancouver. 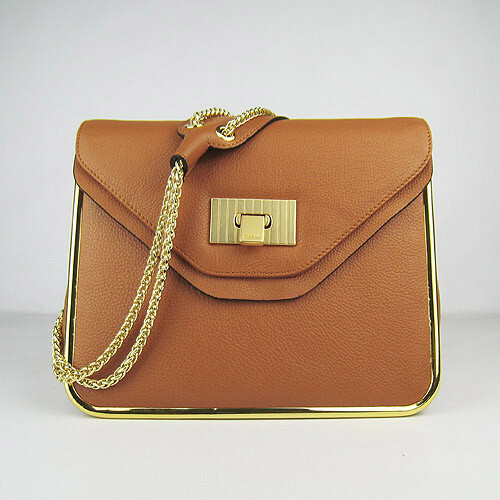 If you are graceful female with noble temperament, this brand new Chloe Sally bag is the perfect choice as it has the lovely and unstrained design style which is suitable for young ladies. Chloé's "Sally" handbag is textured grained calfskin accented with a metallic frame on the flap and a finely crafted guilloché hardware lock. The shoulder strap has a 12" drop. The purse has a double envelope flap closure with inside zip pocket and cotton lining . It is $1,795 at Saks 5th Avenue. Of course, it will be a lot less at Once Again. Come visit us and experience the ulitmate shopping experience.